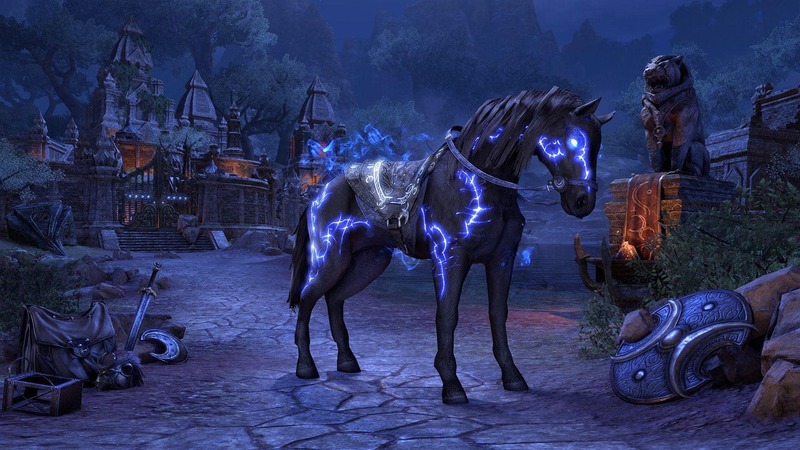 Bethesda has announced that The Elder Scrolls Online‘s Wrathstone DLC will first release on PC on February 25, 2019, and then on the PlayStation 4 and Xbox One on March 12. Kicking off the Season of the Dragon, Wrathstone will challenge players with two new four-player dungeons: Frostvault and Depths of Malatar. Players will be tasked with uncovering both parts of the mysterious Wrathstone tablet while exploring dangerous ruins and facing deadly foes. In Frostvault, players will recover treasure buried beneath an ancient glacier. In the Depths of Malatar, they’ll get to explore ancient Ayleid ruins to discover the fate of a lost imperial expedition. Players will be rewarded for their efforts with powerful new gear, unique collectibles, and mysterious relics. Wrathstone’s journey will lead them to The Elder Scrolls Online: Elsweyr, which will launch in June. Wrathstone will be available for free for all ESO Plus members. Others will be able to purchase the DLC with crowns from the in-game store. Detailed patch notes will be released in due course, and we’ll make sure to share them with our readers.